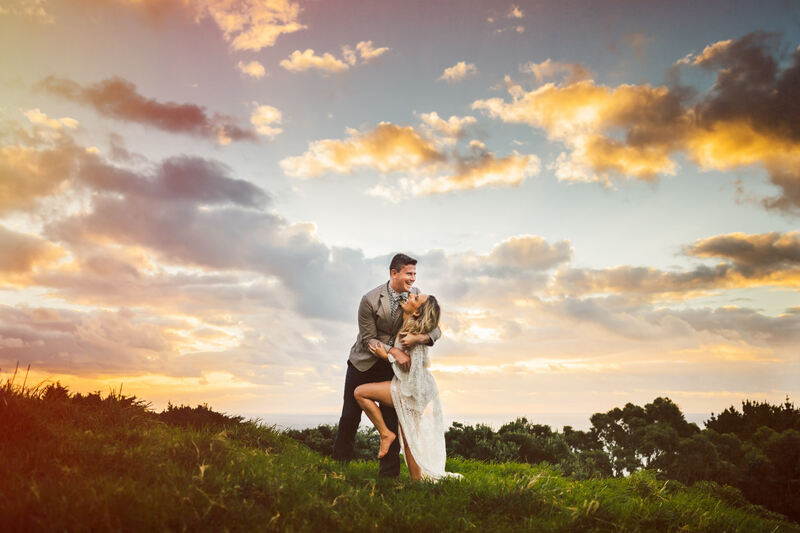 Sunset with these two never looked so good!! 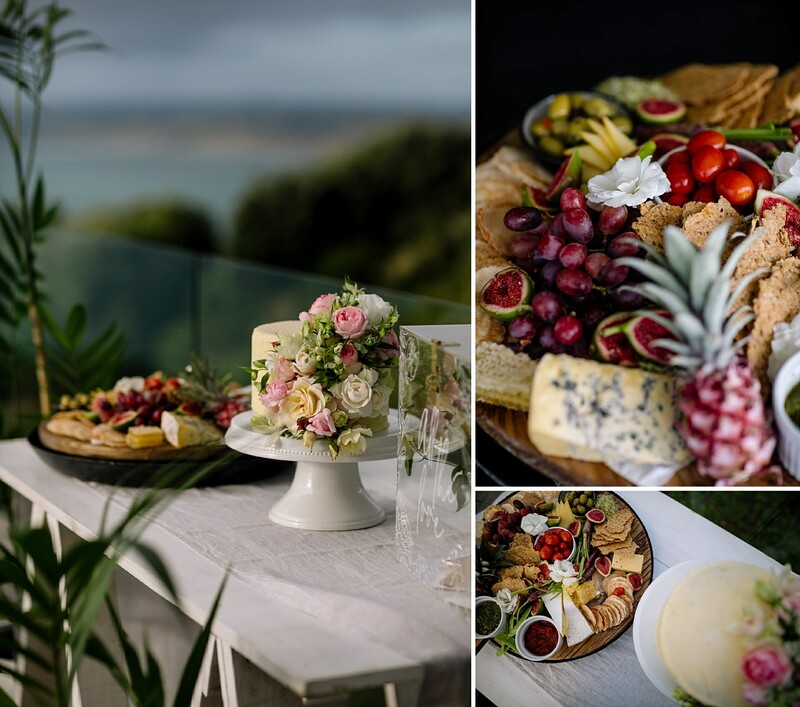 Over the weekend we helped put together an epic shoot with a heap of amazing Wedding creatives! 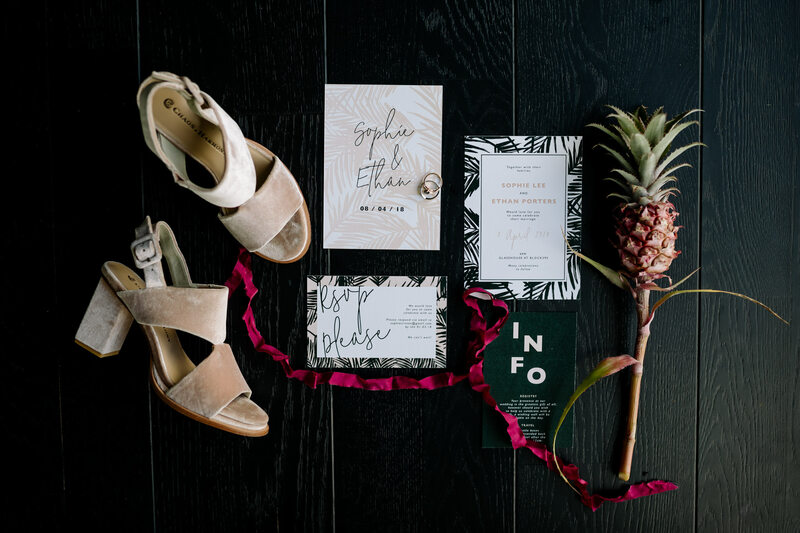 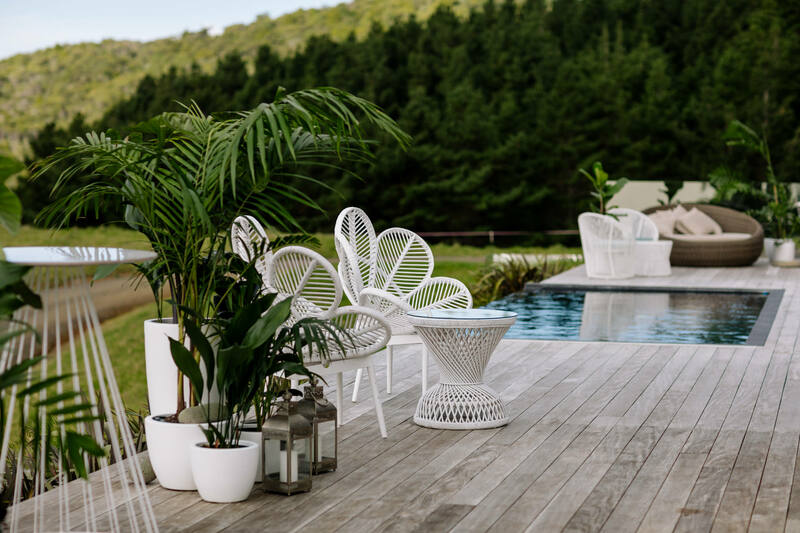 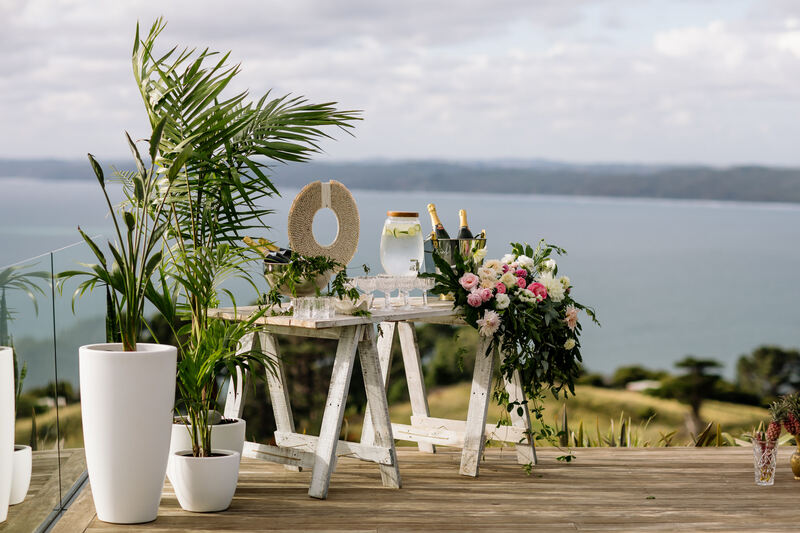 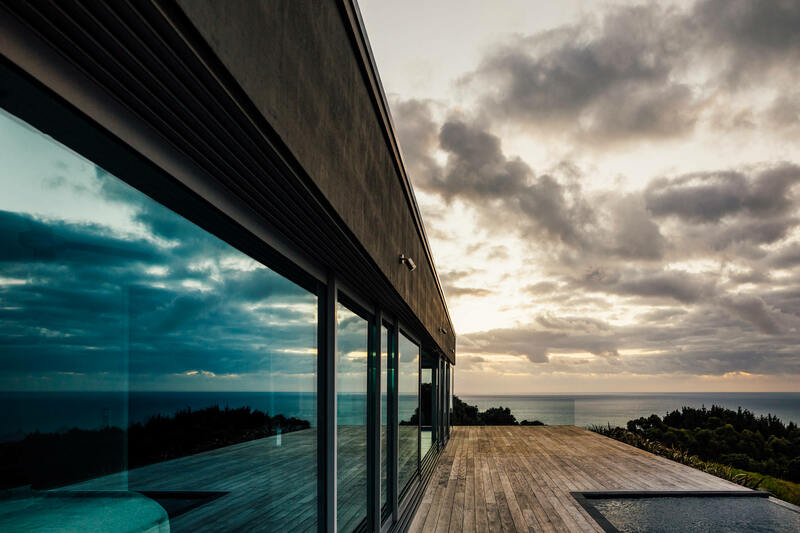 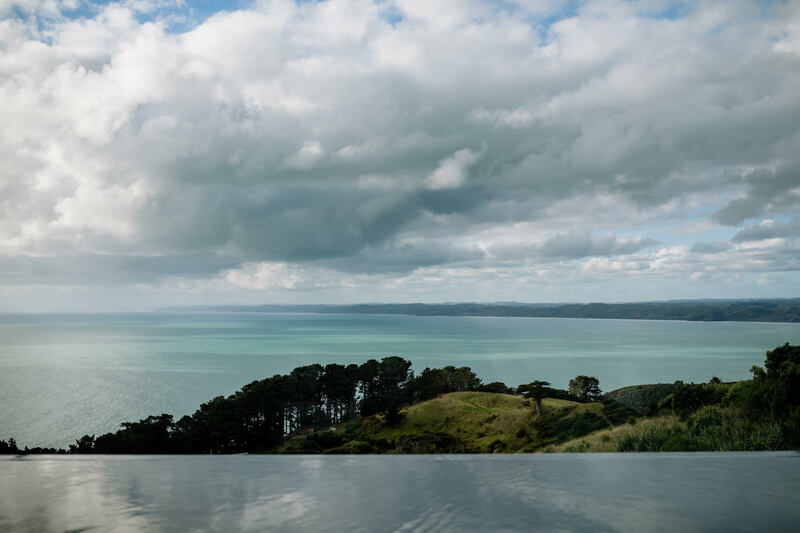 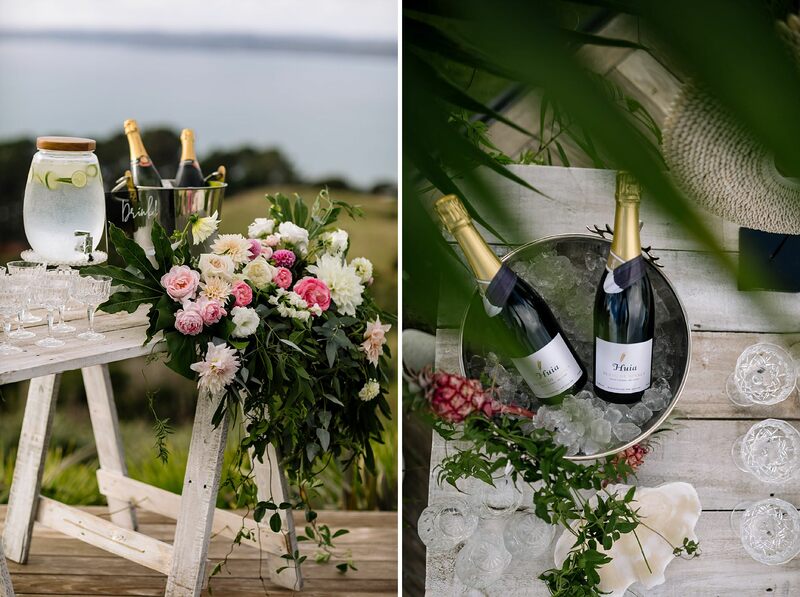 Raglan’s newest Wedding Venue is coming & we had to celebrate with something beautiful!! 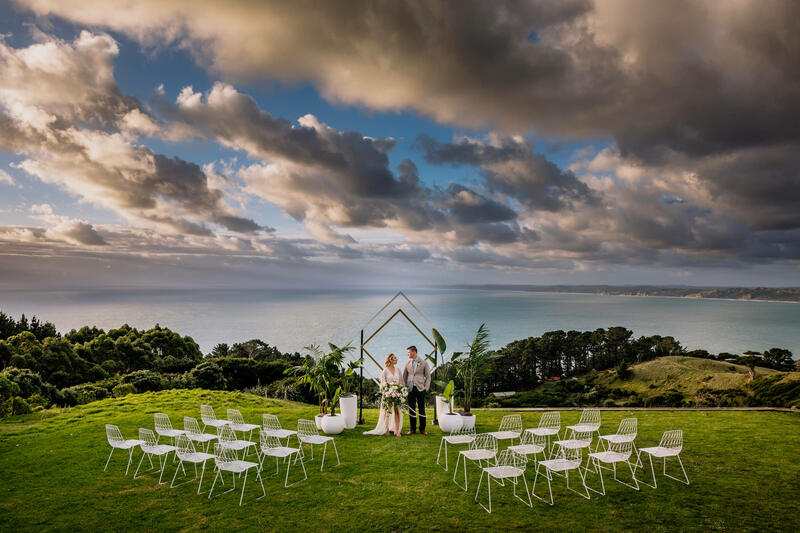 DREAM TEAM Photography: The Official Photographers | Stylist / Creative Director – Bridget The White Wedding Club | Venue: Glass House at Block 295 – Raglan | Florals: Primm Gardens | Hair: Little Hair Co. | Makeup: Marnie Jade Makeup | Co-ordination: Wild & Whim | Stationary & Signage: Paper Darling | Shoes: Chaos & Harmony | Wedding Gown: Brooke Tyson | Grooms Suit: French 83 | Tropical Plants: Lofthouse Garden | Grazing platter & Cake: Two Birds Eatery | Linen: Tble. 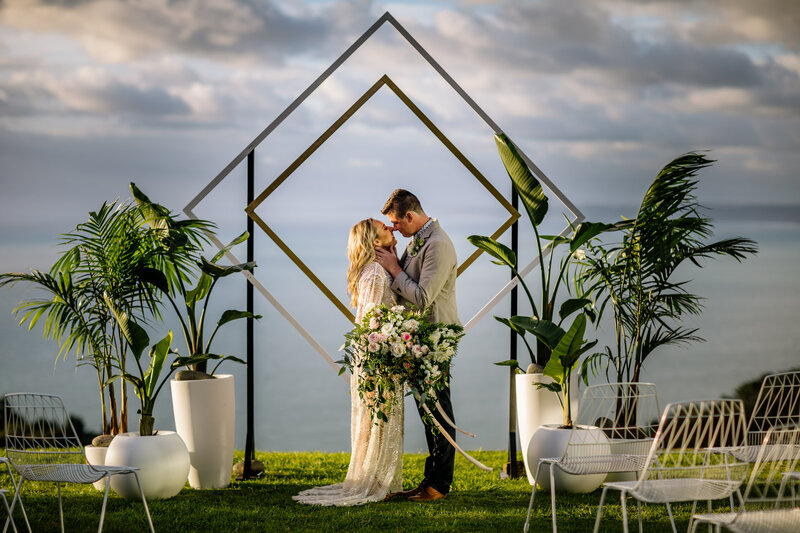 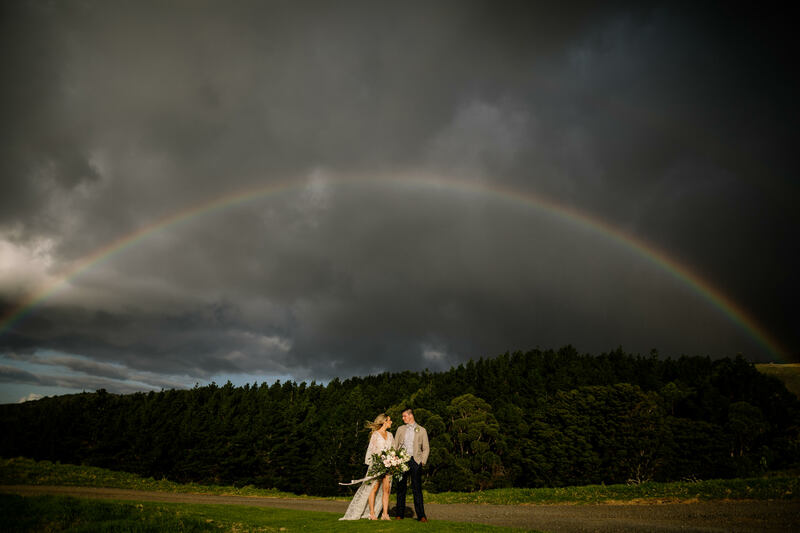 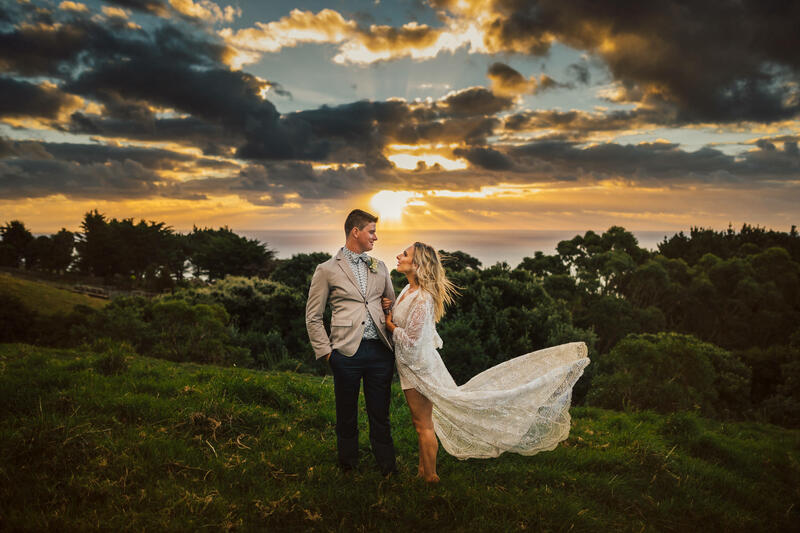 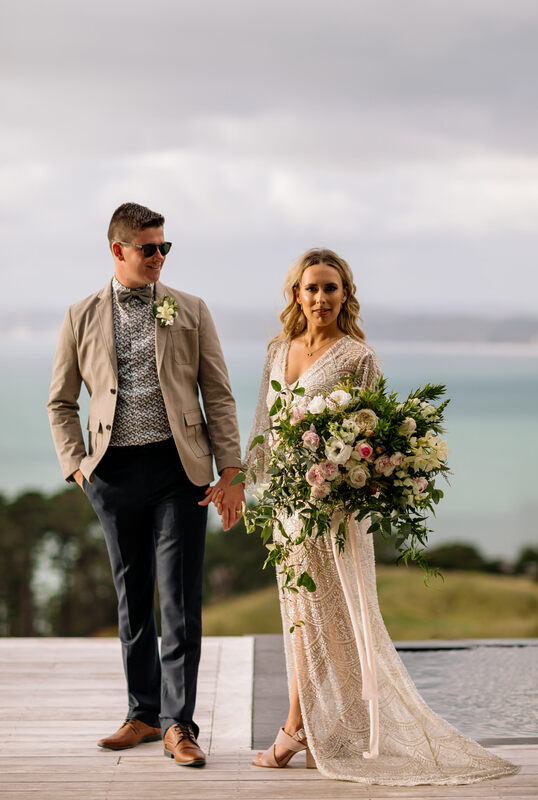 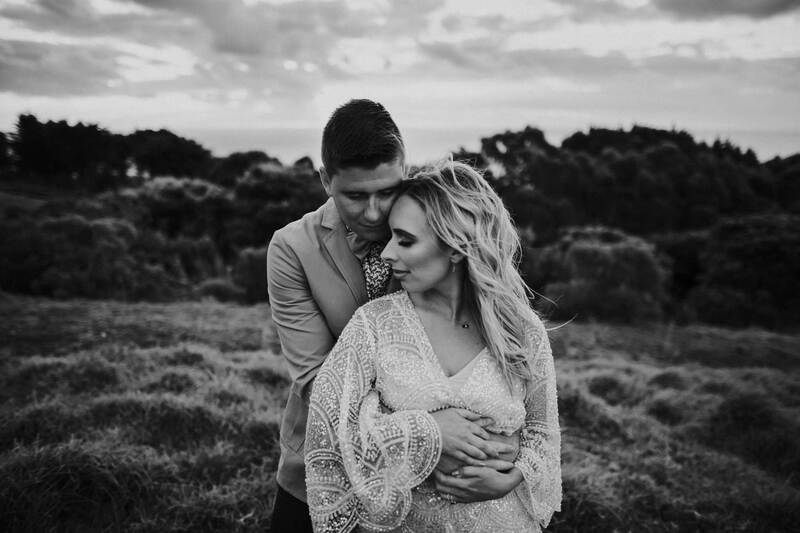 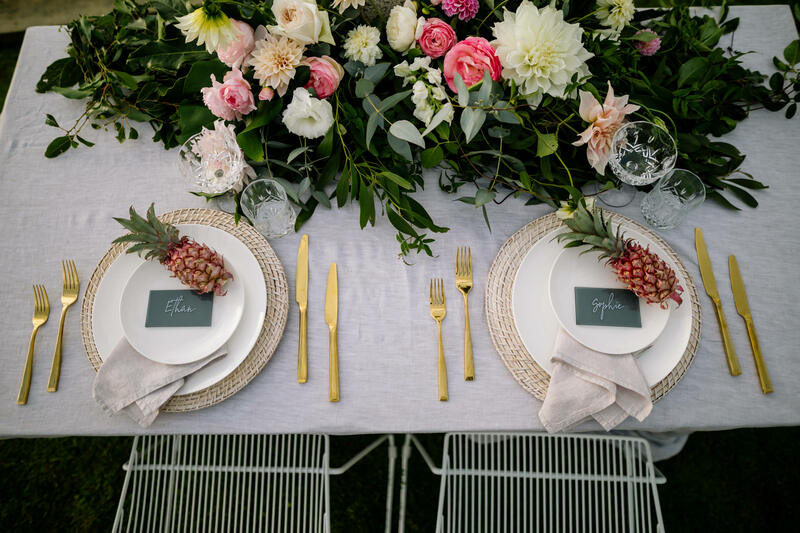 | Organic Wine: Huia Vineyards | Rings – Stonz Jewellers Jewllery – Earrings & Necklace Charlotte Penman supplied by Atamira | White Bar leaners – Royal Laboratorie Event Hire & Design | Models-Bride & Groom Aimee Van Der Hoeven & Hubby Ben!